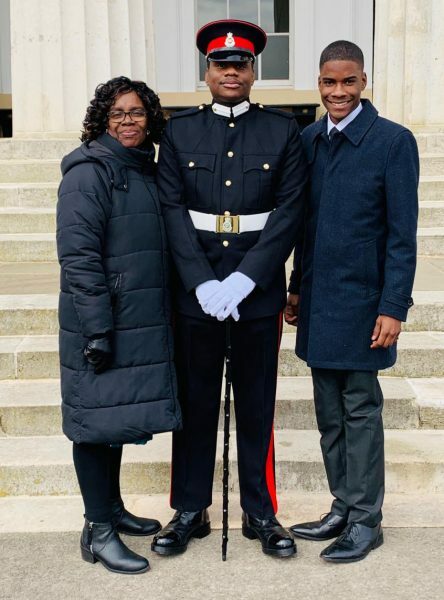 The Royal Montserrat Defence Force (RMDF) is proud to announce that 2nd Lieutenant Darion Darroux has successfully completed the Reserve Officer’s Commissioning Course at the Royal Military Academy at Sandhurst. 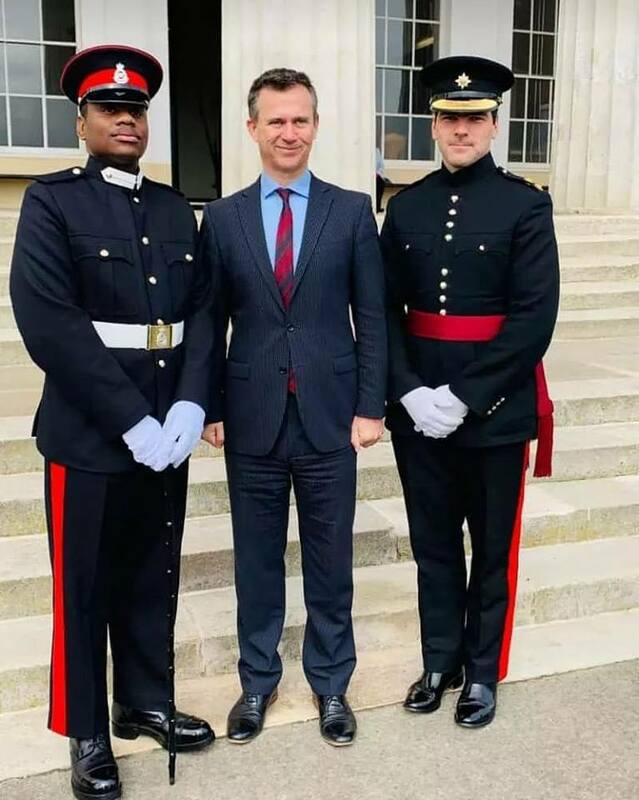 This course commenced on 28 January 2019 and ran for eight weeks culminating in a Commissioning Parade which took placed on Saturday 23 March 2019 at the Old College Parade Square. The Commissioning Parade consisted of a March on by the 37 Platoon of the Dettingen Company accompanied by a band from the Household Calvary. The parade was inspected by Colonel the Right Honourable Mark Lancaster, Minister of State for the Armed Forces. The Officer Cadets had the privilege of Minister Lancaster giving the feature address at the parade. Minister Lancaster was very instrumental in the RMDF receiving their new set of uniforms after his visit to the island in 2018. As part of the ceremony one Officer Cadet received the Sword of Honour after being adjudged the best officer cadet for this course. The parade culminated with the officer cadets marching up the steps and into the grand entrance of the Old College. This has been the highlight of the parade. A total of 33 officer cadets graduated as part of the ceremony. 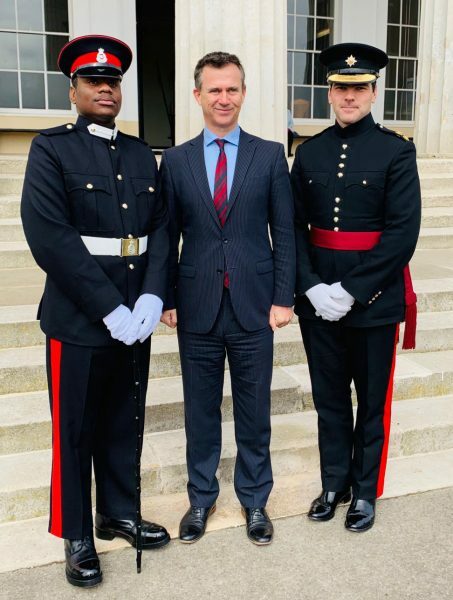 This is the same course which reserve officers of the British military, as well as other officers in training from around the world, would attend to qualify for their commissions. Mr. Darroux’s attendance was made possible through support of the British Defence Adviser’s Office based in Jamaica. 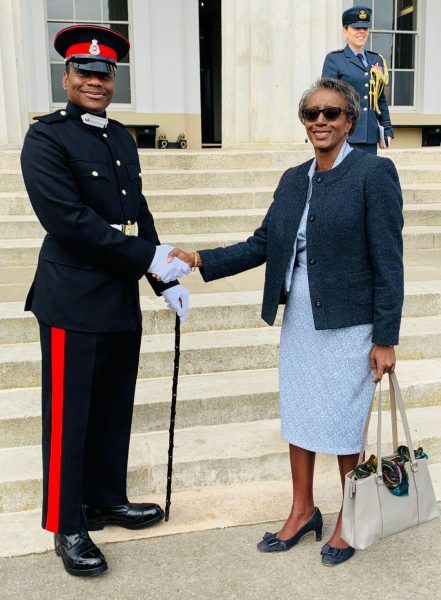 On hand to support Darroux during his commissioning parade were his mother and his brother. 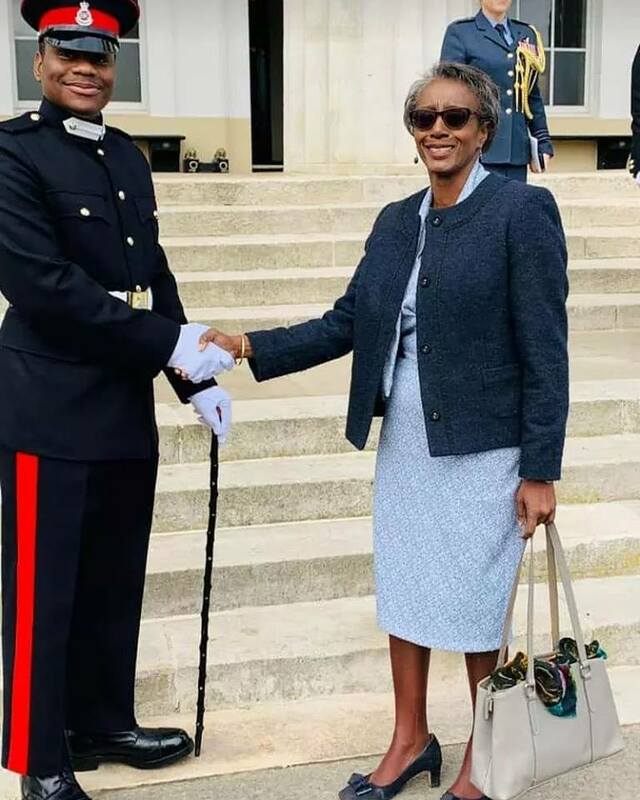 Also in attendance were Mrs. Janice Panton, UK Representative for the Government of Montserrat and Lt. Giles Bromley-Martin representing the Irish Guards. The Irish Guards have had a long standing affiliation with the Royal Montserrat Defence Force and recently completed a week-long visit to Montserrat to foster the bounds of friendship between the two units. 27 March 2019 GENEVA (ILO News) – Global business models are changing rapidly and radically, creating a need for policy-makers, businesses and employers’ organizations to innovate, adjust and become more flexible, according to new study. The skills gap is a major issue, with 78 per cent of corporate executives saying schools are failing to meet future employers’ needs, according to the research conducted by the International Labour Organization’s (ILO) Bureau for Employers’ Activities (ACT/EMP) and the International Organisation of Employers (IOE). More broadly, the report identifies five trends that are radically altering global business models regardless of size, sector or location; technological innovation, global economic integration, climate change and sustainability, demographic and generational shifts, and a global shortage of skilled labour. 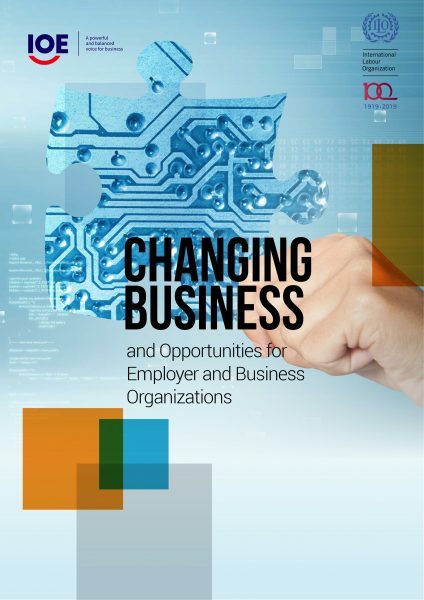 The report, Changing Business and Opportunities for Employer and Business Organizations, stresses that businesses cannot meet the challenges alone and should develop collective solutions through Employer and Business Membership Organizations (EBMOs). 56 per cent of respondents identified technological innovation as the global trend having the greatest overall impact on business. 76 per cent of businesses participating in the survey recognized that technological innovation gives them access to new markets. Global economic integration is increasing the harmonization of corporate global governance, tax/regulatory and business environments, which is having a large impact on companies. 40 per cent of businesses reported that this has had a large impact on their companies. Some 37 per cent of executives mentioned increasing exposure to global economic and political uncertainty as a major trend. 62 per cent of companies in Europe and 58 per cent in Asia reported that a declining working age population will have a large impact on their business. 45 per cent of businesses in Latin America and the Caribbean and 39 per cent in Africa, indicated the youth bulge would have a considerable impact for them. 40 per cent of firms from high-income and 45 per cent from upper-middle-income countries reported that their workforce and consumers are demanding more sustainable working environments and corporate values. 78 per cent of executives indicated that updating the school and education curriculum to match the economy’s needs would provide them with the skilled employees they require. This sentiment is particularly strong in emerging markets, rising to 79 per cent of respondents in Latin America and 86 per cent in Africa. SMEs are the most active supporters of changes in the skills agenda, with 84 per cent of small businesses supporting updating education systems to meet skills needs. The role employers and business organizations will play in these coming changes is a key element of the debate around the future of work that is included in the report. The study is based on a detailed survey of hundreds of corporate executives, extensive research, and consultations with EBMOs. Today was supposed to be the day the United Kingdom walked away from the European Union. But the world’s most contentious divorce is far from settled. So, instead of throwing lavish parties celebrating the UK’s split from the EU, Brexit supporters plan protests outside Parliament today, while lawmakers inside will vote again on a version of Prime Minister Theresa May’s withdrawal agreement. 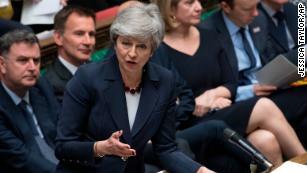 If the deal passes today, Brexit will happen on May 22. If the vote fails, then the UK crashes out of the EU on April 12 with no deal, which many have predicted would be a financial calamity for Britain. The win – Montserrat 2 – Cayman Islands 1. The eight other teams in contention for the last four qualifying places are St Kitts & Nevis, Nicaragua, El Salvador, Dominican Republic and Bermuda (who play each other), Guyana & Belize (who also play each other), and French Guiana. To add some spice to the final round of matches, and some unpredictability, CONCACAF has arranged things to ensure that each team plays someone of a similar ranking. This is also the final round of qualifying for next season Nations League groupings so everyone has something to play for. The following is how the weekend needs to pan out for Montserrat. Day 1: Friday 22nd March. Cayman Islands v Montserrat. Montserrat has to win. A big win may help. Montserrat is now ahead of Cayman Islands in the FIFA rankings and given its form so far, a win for Montserrat is possibly the more likely option. Day 2: Saturday 23rd March. Guyana v Belize. Surinam v St Kitts &Nevis. Either Guyana or Belize will almost certainly finish above Montserrat if they win. St Kitts will finish above Montserrat if they win. Day 2: Saturday 23rd March. El Salvador v Jamaica. Kicking off after the two earlier games have finished, El Salvador needs a win against a Jamaica team looking to qualify for League A in the Nations League. It is possible that a big win in the Cayman Islands could see Montserrat stay ahead of El Salvador on goal difference. Day 3: Sunday 25th. Dominican Republic v Bermuda. This game is sudden death, with the winners virtually guaranteed to finish ahead of Montserrat. Day 3: Sunday 25th. Canada v French Guiana. This match kicks off at the same time as the game in the Dominican Republic. Montserrat will need French Guiana to lose or draw. It has a good team but was beaten 4-2 by Canada when they met in the 2017 Gold Cup. Day 3: Sunday 25th. Barbados v Nicaragua. A win for Nicaragua will see them finish ahead of Montserrat. Unless French Guiana, St Kitts and Nevis, and El Salvador have failed to win, it will probably all be down to this game. Montserrat will need Nicaragua to fail to win. Of course, if Montserrat doesn’t beat Cayman Islands then none of this will matter. Not in terms of the Gold Cup anyway. But there is still next season’s Nations League. It is a chilly Sunday morning and, just behind him, a new generation is going through its own rite of footballing passage. Woods-Garness has returned with five of his oldest friends, all of whom cut their teeth in uncompromising surroundings here and at other venues around Islington. Each of them still lives locally. They could never have imagined it but all of them are international footballers now, playing for the same side, and they stand on the verge of something extraordinary. 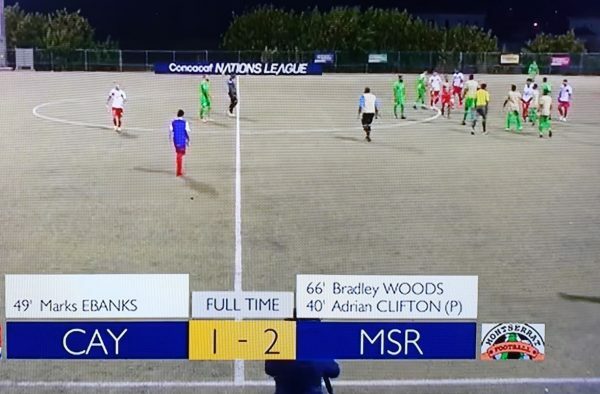 If Montserrat defeat Cayman Islands in the early hours of Saturday then, with favourable results elsewhere, the tiny Caribbean island’s team will qualify for their first Concacaf Gold Cup. They are ranked 200th in the world but a core of players who grew up a few streets apart have helped turn their fortunes round. Recruitment for the national team always leant upon word of mouth. Thousands of Montserratians relocated to the UK during the 20th century, Windrush arrivals followed by those who were displaced by the Soufrière Hills volcano’s catastrophic eruption between 1995 and 1997. The side was mainly staffed by their descendants, usually England-born and playing on the non-league circuit. That has not changed much but the way things fell into place for the current crop makes remarkable listening. “I literally started asking everyone I knew who played football at any level: ‘Do you have any Montserrat in you?’” Dean Mason is among three of the group who play for the National League side Maidenhead United. 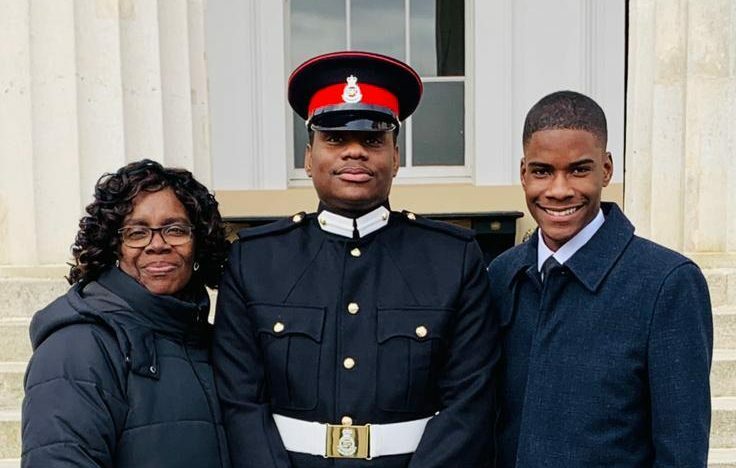 He began representing Montserrat in 2012 – qualifying through his paternal grandmother, a Windrush settler – after striking up a friendship with the now Sweden-based player Alex Dyer; he and Woods-Garness were teammates at Canvey Island then and, en route to a match, he mentioned his call-up. “I’m from Montserrat too,” Woods-Garness replied. When their mutual astonishment had subsided, they set to work on signing him up with the British protectorate’s FA. The pair discovered a squad accustomed to crushing defeats and sought to strengthen it. No stone was left unturned: social media were scoured, friends of friends petitioned. Sol Henry, a veteran of the local non-league scene and friend from those bruising kickabouts, was enlisted during a night of tenpin bowling in 2014 and found himself flying to a Caribbean Cup tie against the US Virgin Islands within days. The deep-set bond between all six is clear: the ribbing and in-jokes barely let up but there is a tenderness, a sensitivity, about their interactions too. None of them envisaged this during those days taking kicks on the gravel. Mason saw the new-look team take shape and began to think: “We can definitely do something here.” A much-improved Montserrat ran Curaçao – a formidable side packed with talent from the Dutch leagues – close in that tie; it was a precursor of what they have achieved since but none of them knew, at the time, that the team would not play again for three and a half years. Overseeing Montserrat’s resurgence is Willie Donachie, the former Scotland international and assistant to Joe Royle at various clubs, who became manager last year. James Comley describes him affectionately as “like a Buddha”; the players admire his serenity and man-management, also appreciating how he allows a necessarily self-sufficient bunch their say on tactics. Donachie quickly understood their closeness and, in several cases, grounding at top-flight academies could be harnessed effectively. The process of connecting their roots has been difficult but important. “Every time my grandad talks about home he always says: ‘Where I’m from in Montserrat ain’t there no more,’” Clifton says. “It’s always been an uncomfortable conversation. So to go there and see what he actually meant with my own eyes, half the island literally empty, one side green, one side ash …” He trails off and the group swap memories of the tours they received, taking in the island’s exclusion zone, upon visiting for the first time. After understanding the devastation that had been wreaked, there was no mistaking what they had committed to. The hope is others will follow. “We’re just kicking this off,” Clifton says. “It’s only going to get bigger; there’s going to be better players than us coming through.” Montserrat can now afford their own talent detection; the days of scouting for teammates are gone. Lyle Taylor, the Charlton forward, is their highest-profile player but a number of Premier League clubs are producing footballers of Montserratian ancestry and there is optimism that, with continued progress, the temptation to hold out for a call from England will be reduced. By the time they sign up, the boys from those neighbourhoods around Elthorne Park may have completed their fairytale. “We’ve created a fear and other teams respect us,” Clifton says. Montserrat must justify a rare “favourites” tag with three points against the Cayman Islands and hope three other results go their way. The permutations are complex but it is not far-fetched. Finishing the job would crown a tale worthy of a film script. 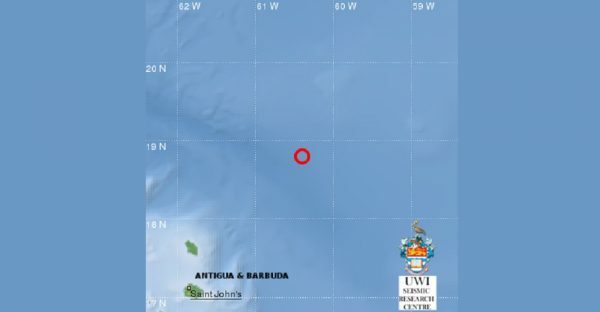 The University of the West Indies Seismic Research Centre (UWI-SRC) has recorded a 4.7 magnitude earthquake near Antigua and Barbuda, Saint Kitts and Nevis and Guadeloupe. 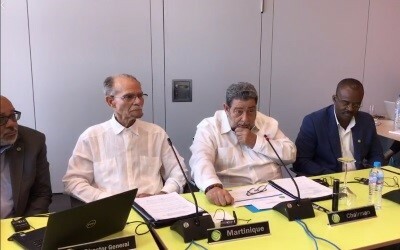 BASSE-TERRE, Guadeloupe, Mar 17, CMC – The chairman of the Organisation of Eastern Caribbean States (OECS), Prime Minister Dr. Ralph Gonsalves says he has held Antigua and Barbuda Prime Minister Gaston Browne regarding the issue involving the Florida-based Carnival Cruise Lines. Gonsalves, who chaired the special two-day OECS summit here last week, told reporters that the matter between Antigua and Carnival Cruise Lines “was not specifically raised” at the meeting of the sib-regional leaders. “Though the Prime Minister and myself had a long discussion on the subject,” Gonsalves said, adding that he did not want to make any statement that would prejudice planned talks between the parties. “But let me ask this question. Are we in such a state of servitude in the Caribbean that the prime minister cannot speak publicly in defence of what he perceives to be his country’s interest without reprisals? “Unilateral reprisals. Is that where we are now? Is that old fashion colonialism replaced by some new species of neo-colonialism,? Gonsalves asked. Last weekend, the Antigua and Barbuda government said it was prepared to hold talks with the Carnival Cruise Lines amid a confusion in that country as to whether or not the company had cancelled several schedule calls to the island. Earlier, Tourism and Investment Minister, Henry Charles “Max” Fernandez, in a statement, said he wanted to condemn “unequivocally a misleading and scare-mongering statement” made by the President of the Antigua and Barbuda Cruise Tourism Association (ABCTA), Nathan Dundas, regarding the cancellation of the cruise ships. Dundas had said that the cruise line did not give a reason for the cancellation adding “so all four ships booked commencing next season November 2019 to 2020 – Breeze, Magic, Legend and Pride will be going to other ports. Information Minister Melford Nicholas said the Gaston Browne administration was prepared to meet with the cruise line company at a mutually convenient location wither here or in the United States. He said in the meantime, both parties have agreed to refrain from making any comments on the situation. “We felt it necessary to engage them. Despite the hostilities we have continued to engage. We seem them as an important player. Their total brand and all of the ships that are under their control would constitute a significant portion of the existing passengers that come to Antigua under the existing protocol. “So we do not consider them as being insignificant in the business. So we have continued to engage them. Accordingly based on a conversation that we had again yesterday at cabinet with senior officials we have both agreed to not only stay the hostilities but to have a meeting at a mutually agreeable point. “It could be in Miami or it could be here in Antigua,” Nicholas said, noting that Carnival Cruise Lines have been complaining about the ports here for decades but have failed to assist in any significant way. Last month, the Antigua and Barbuda government defended its decision to enter into a multi–million dollar agreement with the London-based Global Ports Holdings (GPH) for the development of the cruise port in the capital. Prime Minister Gaston Browne said that the US$83 million agreement with GPH would change the landscape of the island. The GPH, established in 2004, GPH promotes itself on its website as the world’s largest cruise port operator with an established presence in the Caribbean, Mediterranean, Asia-Pacific regions, including extensive commercial port operations in Turkey and Montenegro. Restrictive covenants, charges, restrictions… these are all examples of encumbrances that may be registered on one’s land. An encumbrance is defined as “a right to, or interest in, or legal liability on property that may diminish its [use or] value.” To be effective and have legal standing, encumbrances must be registered in the Land Registry, recorded in the Land Register page of the particular parcel, so that anyone who considers it prudent to check the Land Register for information on that parcel, would be aware of the encumbrance. The Land Register is available to the public for searches, so any person can inquire about any land parcel in Montserrat, particularly before purchasing or otherwise investing in the land. Some encumbrances may arise through a contractual arrangement with the land owner, such as restrictive covenants, charges and leases. A restrictive covenant is agreed to by the owner at the time of purchase, that he will use the property in the agreed manner only, and that he will refrain from certain actions that may devalue the property, or run contrary to the intended use of the land development. Common restrictive covenants are for example, that the land will not be used to raise livestock, or that the land will be used for a single-family residence only, not for multiple buildings or a commercial purpose. A Land Registry search will reveal whether a particular parcel is subject to restrictive covenants. A copy of the specific covenants may be provided as well. A charge is an interest recorded on land, to signify the existence of a debt on terms which include the use of the land as security for the debt, and a power of the lender to sell the land in the event of default. The owner of the land would have agreed to these terms with the lender that in exchange for the loan. Banks and credit unions, as the primary financial institutions, account for the majority of charge holders recorded in the Land Registry. Any person desirous of inquiring whether a land parcel is encumbered with a charge, should request a search of the property at the Land Registry. The landlord/owner who effects a long-term lease is obliged to register the existence of the lease in the Land Register. By registration, the Land Register page for the parcel would show the existence and duration of the leasehold interest in the property. Therefore the property would be subject to, or encumbered with the interests of the lease, as the public record would show that the tenant has a leasehold interest in the property, and that the land lord is entitled to collect rent from the tenant. If, for example, a landlord entered into a 15- year lease ten years ago, any prospective purchaser or investor in the property would see from the Land Register that there is a 5-year leasehold interest remaining on the property. Some encumbrances arise by operation of law, or as a result of competing claims. These include restrictions and cautions. For example, the Registrar of Lands may register a restriction on a property to prevent fraud or improper dealing or for any other sufficient reason. The effect of the restriction is to prevent any dealings with the land until the issue to be resolved is heard and resolved by the Court or the Registrar of Lands. Affected persons would be notified and given an opportunity to be heard. A caution is another encumbrance that may be registered on land, to prevent any dealings with the land while the interests of the cautioner subsist. Like the Charge, the cautioner may be a bank that has loaned money in exchange for an interest in the land. But a cautioner may also be a person who has an interest in the land that is currently not reflected in the Land Register. Such a person may be a person who claims part ownership, or who contends that the registered proprietor’s claim is erroneous or fraudulent. All parties must be given an opportunity to be heard before the caution may be removed and unless there is mutual agreement, caution claims may eventually be ventilated in a formal hearing before the Registrar of Lands or a High Court judge in order for the issues to be resolved. It is important to landowners to be aware of how encumbrances may affect their property rights, and how encumbrances may be used to protect property rights and property values. The importance of conducting searches of property before any land purchase or investment, and of seeking legal advice cannot be over emphasized. For further information please contact the Land and Surveys Department at surveys@gov.ms. Applying for a replacement Land Certificate. Every owner of land in Montserrat is entitled to have a land certificate issued as proof of land ownership. Landowners must be responsible for keeping their certificate in a secure, safe location, just as they would any other important documents, such as passports and birth certificates. However, there are times when land certificates get lost or misplaced. This short article sets out the procedure to replace a lost land certificate. A land certificate may get lost for several reasons. The most common reason is that the Land Certificate got lost or misplaced after someone moved or relocated or following the death of a family member. Land certificates may get lost or destroyed as a result of a fire, flood, hurricane or as a result of criminal activity such as arson or burglary. There are other instances when the certificate gets lost or misplaced after it is entrusted to a third person, such as a family member, or a lawyer, surveyor, realtor, or banker. The owner of the land must make a sworn statement or affidavit including facts that would satisfy the Registrar that the certificate has been lost or destroyed. The statement must detail events leading up to the loss, including where the certificate was last located, and the last time the whereabouts of the certificate were known. If the certificate was entrusted to a bank, a lawyer, surveyor or family member, then that person would also have to make a statement, to confirm that the land certificate was last in his possession. Supporting documents must be attached to substantiate the facts stated, such as a police report of a burglary or fire. 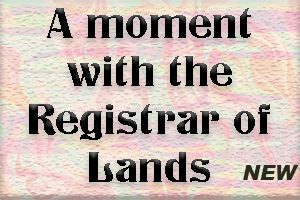 In any event, the Registrar of Lands may request any supporting document to satisfy that the Land Certificate is lost or destroyed. After the application has been accepted by the Land Registry, with the statements and supporting documents, the Land Registry must publish a notice to the public that the certificate is lost. Newspaper publication has been the most effective publication method for lost certificate application. The most effective publication method for lost certificate application has been publishing in the newspaper. Provides an opportunity to prevent loss by a potential equitable chargee, or a person who may have been entrusted with the certificate by the owner in exchange for a loan, or services and who would lose his security if a new certificate is issued without his knowledge. Because only one certificate should exist for each parcel of land at any time, the applicant must agree or give an undertaking in his statement that if the lost certificate is ever found, it would be handed into the Land Registry. This is a very important undertaking because the existence of two certificates for the same land parcel would be highly suspicious, and as it would appear that a falsehood or fraud took place to induce the Registrar of Lands to produce a land certificate when a land certificate was already in existence. 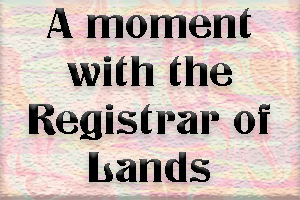 Applications for replacement of lost land certificates are not usually complicated. Once a comprehensive statutory statement is made, most applications are granted within a short time. Persons may wish to contact their lawyers for assistance in these applications. For any questions concerning these or other applications concerning land, contact the Land Registry at (664) 491-3669/3620 or by email at surveys@ gov.ms. Our ancestors were kidnapped in most cases from Africa. Even some leaders of tribes were paid to enslave their own people and keep them in storage to be sold later. What a heinous crime! They were split up and sold to masters in various Caribbean islands and other places. Slaves were introduced to Montserrat in the early 1650’s and the Dutch agents were the suppliers. According to Sheridan, 1974, there were about 9,834 slaves on Montserrat in 1775. It must be noted that slaves were encouraged to dance while they were coming through the Trans-Atlantic Passage. Some of them were brought on deck to show their skills and to exercise. If they did well, they were thrown a piece of sweet meat and slaves would stamp on it to claim ownership. This has been upgraded to coins. Have you observed how the masquerades stamp on the coins? There were estates on Montserrat and these were located at Waterworks, Brodericks, Frye’s, Hermitage, Weekes, Farrell’s, Richmond Hill, Bransby, Paradise and other areas. There were sugar mills at Barzey’s, Baker Hill, Forgathy, Sweeney’s, Cork Hill, Manjack and other places. However, the slaves never gave up their desire to be free because they were regarded as chattel, mere commodities and machinery to make Massa rich and intimately satisfied. That is why they planned the rebellion for March 17, 1768. The idea was for the slaves at Government House to seize the swords and those who were on the surroundings would use any weapon to create havoc. This day was chosen as, the slaves knew that their masters would be drunk and very vulnerable. Unfortunately, a white woman who was also a seamstress overheard the conversations. She questioned a slave woman about the matter and she unveiled the whole plan. It should be noted that probably the slave woman was afraid or maybe she was given some free rum or promised a reduction on the cost of her new dress. The white woman was called Miss Katie, according to my grandmother, Margaret “Peggy” Browne. The nine ring leaders were executed and thirty others were tried, found guilty and deported to other islands. It was a very sad day. However, even though the rebellion did not take place, we regard those who suffered as freedom fighters, trailblazers and National Heroes. They ignited the flames for freedom. It must be noted that the Cudjoe who was involved with 17/3/1768 is not the same Cudjoe who was lynched at Cudjoe Head. As time rolled on, other leaders emerged like another Cudjoe, Cuffy, Equiano, Sufia and Bridget & Hannah Woods, George Wyke and Edward Parson. Before our ancestors came to the Caribbean and other places, they worshipped nature. e.g. the sun, rivers. Their masters introduced them to the Supreme and taught them to be docile and turn the other cheek. Many of them had to sit on the bench under the tamarind tree in St. Anthony’s Churchyard because they could not worship in the chapel. The slaves involved themselves in various types of rituals and cults because they wanted a better life by breaking the shackles of slavery. The drum was very important in achieving this but it was banned at certain times. However, the slaves played their drums deep in the mountains and sang folk songs. Moreso, their counterparts from Guadeloupe used to visit on weekends. They came through a tunnel, played their drums and carried lights on sticks. About two years after the planned rebellion, there was a false alarm of another rebellion and the sixteen persons who were accused were found innocent. The slave owners were frightened and encouraged the jurors to find them innocent in order to still the waters. The Governor of the day, William Woodley was happy with the verdict. The slaves left a mark on religion so we note: drumming, rituals, Jumbie Dance, scanting , songs, woo-woo drum, Voodoo, Orisha works, Pocomania, Santeria, Umbanda, Xango, Candomble and Bantuque. The prejudice against the slaves never ended and the slave well at Dando in Cork Hill is a reminder. Slave women were so fed up with the situation that they performed abortions to ensure that no more people were enslaved. Some slaves developed a “crab in a barrel mentality” and some of them reported on many secrets so that they would gain the favour of the planter class. Our people were programmed to hate each other! Our ancestors were pushed to ignore their indigenous culture and adopt the white man’s way of life. Yet, we have many African legacies to hold onto e.g. (1) our dressing: multi-coloured clothes, headties, long skirts, robes, dashiki, make-up, tattooing, body art, African attire. (2) The slaves made their own wattle and daub houses, stone ovens, pit latrines, calabash utensils, cassava mills and more. (3) Language: words like nyam, babble, buckra, sensed fowl, dutty, cocobay. mummy, nyampi, Pidgin language and dialect. In 2019, are we still wondering if we have an African legacy? Are we still masquerading to the beat of the white man’s whip? Join me again tomorrow for another episode of reflection. Miss. 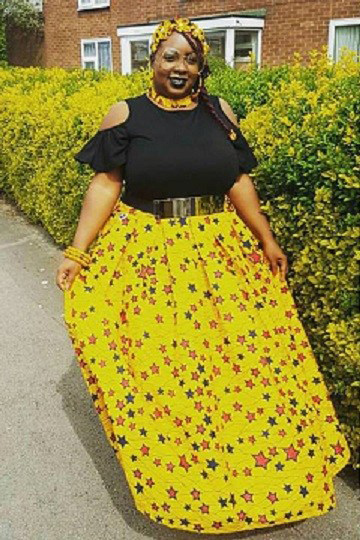 Edella Allen has been accepted to the first cohort of the OECS Fashion Design Programme which shall be delivered online from February 11th to September 18th 2019. Miss. 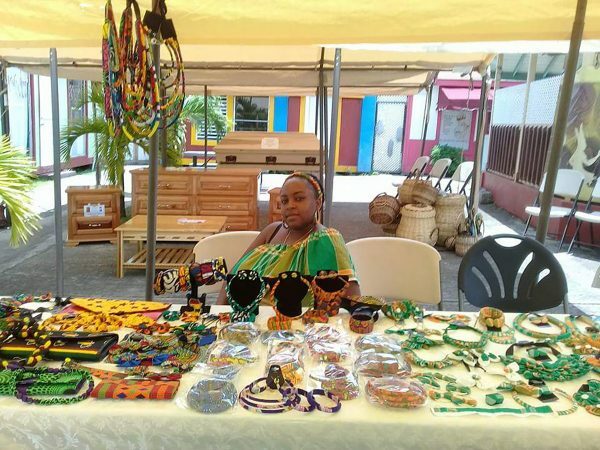 Allen, a member of the Young Entrepreneur Association of Montserrat, is the owner of Classics Boutique, which already has a regional and international market for the sale of custom made outfits and fashion designs. Participants in the programme will be provided with a broad range of support to include target market profile, collection conceptualization, trend forecasting, collection title/inspirational words, mood-board/inspiration board sketches/ technical flats, fabrication/sourcing, manufacturing/production and timelines/ completion, buyer and brand matching/ B2B and sales facilitation. This CBU intervention is the latest in a series of events targeting the sub-sector since 2015 under the 10th EDF Regional Integration for Trade of the OECS. In this programme, the CBU is targeting emerging as well as export-ready companies involved in the design and production of apparel and accessories in OECS Member States. 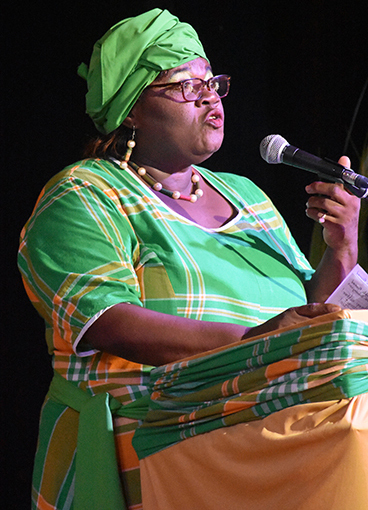 At the end of the intervention, the CBU hopes to help further strengthen the fashion and design value chain in the OECS and provide designers with an avenue for increased exposure of their various products and services. Winds diminish quickly this evening under clear skies. Lows in the mid/upper 40s. Nothing but sunshine tomorrow with a mild South breeze. Highs near 80.